The Semi and Grand Final is here! In the most spectacular performances of the season the Top 5 dance crews see if they have what it takes to be crowned Dance Boss champions and take home $100,000. 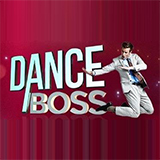 Dance Boss was broadcast on Seven at Monday 27 August 2018, 01:46. 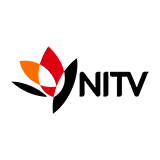 Dance Boss is a TV show on Australian national television from Seven with an average rating of 3.6 stars by TVCatchUpAustralia.com's visitors. We have 7 episodes of Dance Boss in our archive. The first episode of Dance Boss was broadcast in August, 2018. Did you miss an episode of Dance Boss but don't you wan't that to happen in the future? Please set an alarm and add Dance Boss to your favourites, so we can remind you by email when there's a new episode available to watch. Completely free: handy!